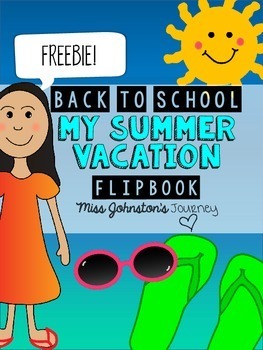 This flipbook is the perfect 1st week of school project. 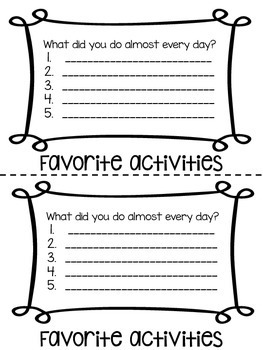 Let your students reflect on their summer vacation in a fun way! The text boxes are editable, so that you can make it fit your students' needs! I've simplified it to just 5 easy steps! 2. Cut below dashed lines. 4. Staple at the top. 5. Let your students create! 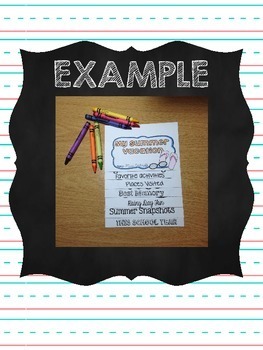 Check out my BEST SELLING Editable Back To School Class Information FlipBook! Please leave feedback, follow my store, and check out my blog, Miss Johnston's Journey.